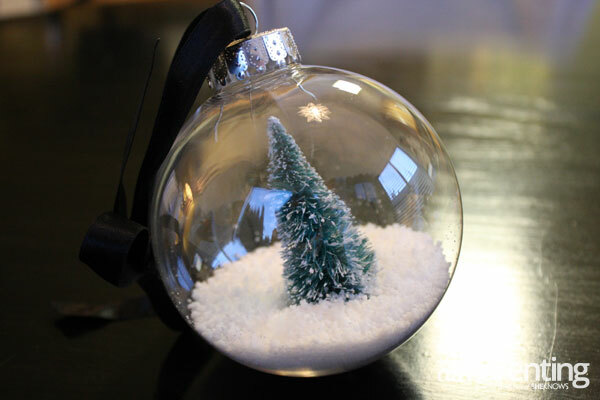 Simple glass ornaments get an upgrade with the addition of tiny trees and just enough fake snow to make the perfect wintery scene. Your own personal Christmas tree in the palm of your hand. 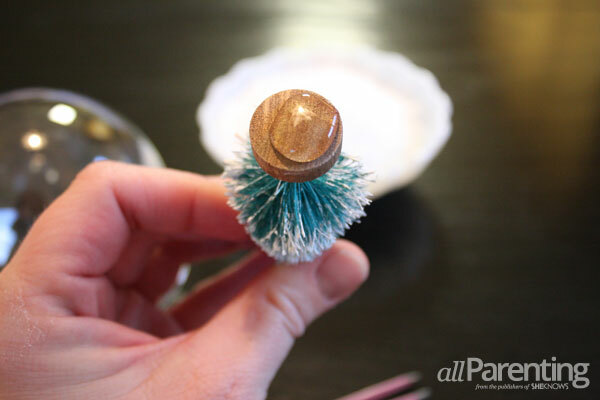 Remove the top of the ornament. 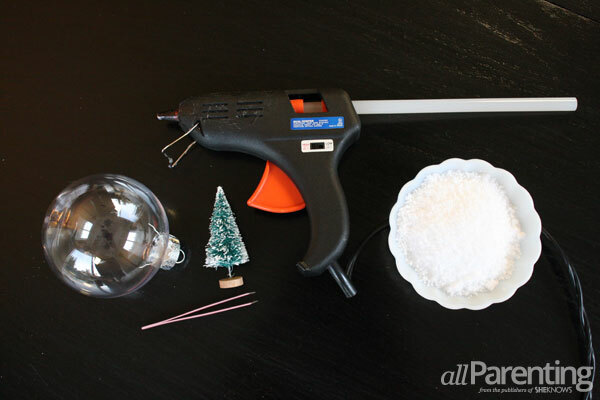 Apply a small dot of hot glue to the bottom of the tree. 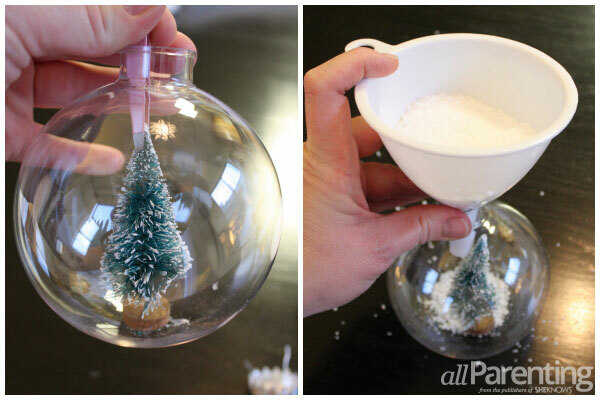 Using the tweezers, feed the tree through the opening and secure it to the bottom of the ornament. Allow to cool completely. Place the nozzle of the funnel into the hole. Now add your mica snow. Replace the ornament top and tie on a ribbon. Your ornament is ready to be hung!